Halifax, NS & Glendale, CA, 8 December 2015 – DHX Media (“DHX” or the “Company”) (NASDAQ: DHXM; TSX: DHX.A, DHX.B), a key player internationally in the creation of content for families and children, and DreamWorks Animation (NASDAQ: DWA), a leading family entertainment company, have entered into a five-year agreement to co-produce 130 episodes of original animated children’s content at DHX Studios. Content under the deal will air on DHX Television’s suite of channels, which includes Family Channel, Family Jr., Family CHRGD and Télémagino. DHX will handle distribution for the content in Canada and DWA will distribute to the rest of the world. In addition, DHX Media has licensed more than 1,000 half-hours of television programming from DreamWorks Animation, to be broadcast beginning as early as June 2016 across DHX Television’s channels. DHX Television will thus become the exclusive television network for this DreamWorks Animation television content in Canada. 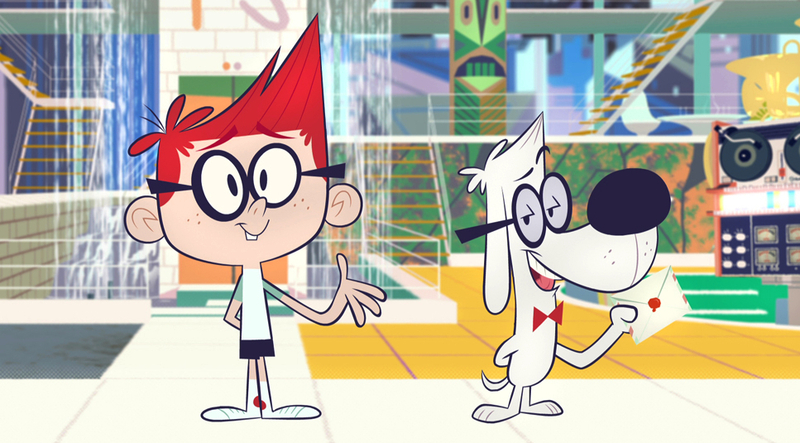 Series coming to the network include All Hail King Julien, The Mr. Peabody & Sherman Show, Dragons: Race to the Edge, The Croods, and many others. DHX Media has also entered into an agreement with AwesomenessTV, which is majority owned by DWA, to license 300 half-hours of teen content for exclusive broadcast in Canada on Family Channel. AwesomenessTV is a multi-platform media company that is a global leader in producing content for the Gen Z audience. The series included in the agreement will air on Family Channel’s previously announced evening teen block, F2N, which launches in January 2016, anchored by DHX’s Degrassi: Next Class. DHX will also handle distribution for the AwesomenessTV content in Canada, including SVOD and OTT. DreamWorks Animation creates high-quality entertainment, including CG animated feature films, television specials and series and live entertainment properties, meant for audiences around the world. The company has world-class creative talent, a strong and experienced management team and advanced filmmaking technology and techniques. All of DreamWorks Animation’s feature films are produced in 3D. The company has theatrically released a total of 31 animated feature films, including the franchise properties of Shrek, Madagascar, Kung Fu Panda, How to Train Your Dragon, Puss In Boots and The Croods. AwesomenessTV is a multi-platform media company owned by DreamWorks Animation (Nasdaq: DWA) and Hearst Corporation, the latter of which has a 25 percent interest. Included under the AwesomenessTV banner are AwesomenessTV, a leading destination for original programming serving the global Gen Z audience; the ATV Network, a community based MCN with over 90,000 channels; Big Frame, an influencer talent management company; DreamWorksTV; Awestruck; Awesomeness Films; Wildness; as well as consumer products, music and branded entertainment divisions. AwesomenessTV was founded by Brian Robbins (Smallville, Varsity Blues, All That) and Joe Davola (In Living Color, Smallville, MTV Networks). Check out www.awesomenesstv.com. This press release contains forward looking statements with respect to DHX including the completion of production of multiple series, the timing of television debuts, the business strategies of DHX, and the future operating activities and performance of DHX. Although the Company believes that the expectations reflected in such forward looking statements are reasonable, such statements involve risks and uncertainties and are based on information currently available to the Company. Actual results may differ materially from those expressed or implied by such forward-looking statements. Factors that could cause actual results or events to differ materially from current expectations, among other things, include risk factors discussed in materials filed with applicable securities regulatory authorities from time to time including matters discussed under “Risk Factors” in the Company’s most recent Annual Information Form and annual Management Discussion and Analysis, which form part of the Company’s registration statement on Form 40-F filed with the United States Securities and Exchange Commission. These forward-looking statements are made as of the date hereof, and the Company assumes no obligation to update or revise them to reflect new events or circumstances, except as required by law. This document includes certain forward-looking statements within the meaning of the Private Securities Litigation Reform Act of 1995. DreamWorks Animation’s plans, prospects, strategies, proposals and our beliefs and expectations concerning performance of our current and future releases and anticipated talent, directors and storyline for our upcoming films and other projects, constitute forward-looking statements. These statements are based on current expectations, estimates, forecasts and projections about the industry in which we operate and management’s beliefs and assumptions. These statements are not guarantees of future performance and involve risks, uncertainties and assumptions which are difficult to predict. Actual results may vary materially from those expressed or implied by the statements herein due to changes in economic, business, competitive, technological and/or regulatory factors, and other risks and uncertainties affecting the operation of the business of DreamWorks Animation SKG, Inc. These risks and uncertainties include: audience acceptance of our films, our dependence on the success of a limited number of releases each year, the increasing cost of producing and marketing feature films, piracy of motion pictures, the effect of rapid technological change or alternative forms of entertainment and our need to protect our proprietary technology and enhance or develop new technology. In addition, due to the uncertainties and risks involved in the development and production of animated feature projects, the release dates for the projects described in this document may be delayed. For a further list and description of such risks and uncertainties, see the reports filed by us with the Securities and Exchange Commission, including our most recent annual report on Form 10-K and our most recent quarterly reports on Form 10-Q. DreamWorks Animation is under no obligation to, and expressly disclaims any obligation to, update or alter its forward-looking statements, whether as a result of new information, future events, changes in assumptions or otherwise. Investor Relations: David Regan – EVP, Corporate Development, DHX Media Ltd.